With profound sorrow, Bud Colquhoun announces the passing of his beloved wife Gwen on December 1, 12017 at the Englehart & District Hospital with her husband of 64 years and friend Dr. Lynn Lacasse by her side. Gwen's struggle with cruel dementia has ended. It had robber her of her memory and her dignity, but not her spirit. Survived by sister-in-law Shirley Colquhoun, niece Lynda Fisher and cousin Marlene Greif. Predeceased by parents Walter Fisher and Elsie (Greif) Fisher and brothers Carson Fisher and Owen Fisher, Gwen spent her entire life in Englehart, graduating from Englehart High School and later (1984) from Laurentian University with a BA in English Literature and Sociology and a special certificate in Women's Studies. 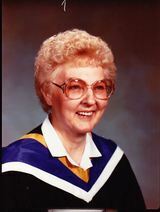 During her lifetime Gwen was deeply involved in her community, including as leader of Canadian Girls In Training (CCIT), hospital Candy Stripers, secretary United Church Women (UCW), United Church choir, secretary Englehart Art Club, president Horticultural Society, Temiskaming Speaker and Northern Daily News correspondent, Secretary Chamber of Commerce, Assistant Curator / Manager Englehart & Area Historical Museum, Board member of Museum, Englehart Playhouse Theatre director, Chair of Englehart Library Board and President of Friends of Library Group. She was especially proud of her time as Library Board Chair during conception and building of the present Library. Gwen was an accomplished self taught artist and a published author. She loved to travel, touching down with her husband in countries including Germany, France, Switzerland, Italy, Spain, Denmark, Sweden, Yugoslavia, Morocco, England and Scotland as well as many winter sojourns in Florida and a memorable trip to Arizona. She loved Christmas, antique shows, auction sales, reading history and her Shepherd Lake cottage. Gwen was a talented decorator with innate colour perception and awareness of correct decor. Many United Church events and Library window displays benefited from her artistic talents. She was of inestimable help and support to Bud in their post-retirement auction business. Special thanks to Dr. Marie Lynn Lacasse, Nurse Practitioner Sylianne Desilets and the entire Hospital staff - medical, nurses, personal care workers, kitchen staff, housekeeping and office - all of whom were exceptionally considerate in taking care of Gwen. Donations if desired, would be appreciated for the Library, Museum elevator fund or Englehart & District Hospital. Gwen was loved more than she ever knew. She was made for brighter things, for better times and laughter. No funeral services or memorials. Friends are asked to remember her each in their own way. Condolences, contributions and memorial candles may be left at www.mcdonaldfuneralhome.ca. 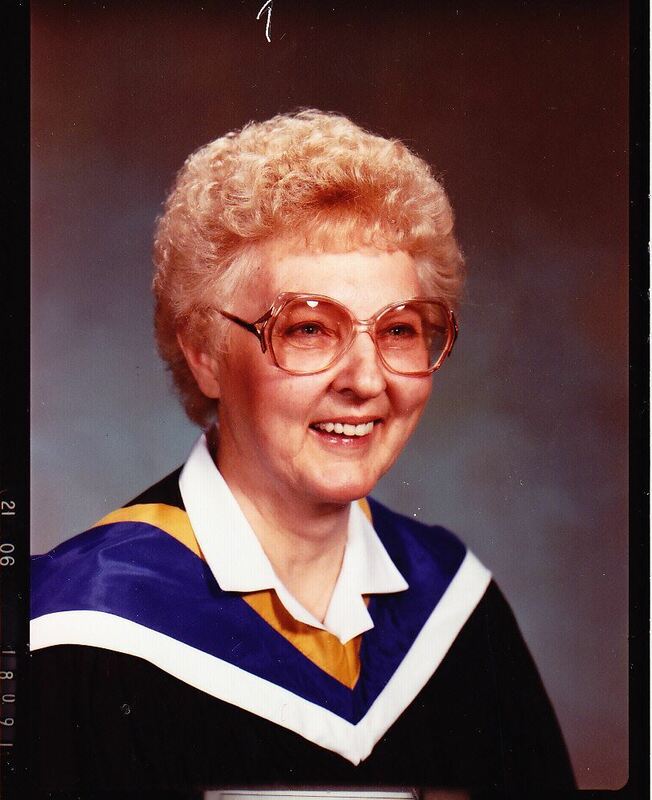 To send flowers to the family of Gwendolyn Colquhoun, please visit our Heartfelt Sympathies Store.